Summary: Light rain on Monday through Wednesday, with high temperatures peaking at 78° on Saturday. 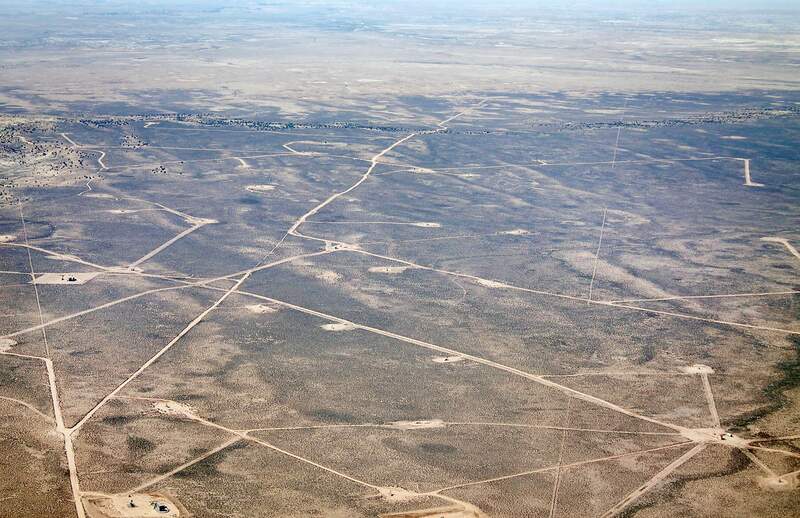 From the air, the network of mostly natural gas wells in the San Juan Basin is visible. Currently, no drilling rigs are working on new wells in the basin, a worrying sign for the economy of the Four Corners. Natural gas production may slide in La Plata County this year, and the negative impact of low prices could continue to ripple through the economy and county government. There are no active drilling rigs in the San Juan Basin in Colorado or New Mexico right now, said Christi Zeller, executive director of the La Plata County Energy Council. While it’s not as unusual for drilling rigs to be absent from La Plata County, it is rare not to find one across all three counties in the basin: La Plata, Archuleta and San Juan County, New Mexico. “I have had this job 15 years, and I have never seen this before,” she said. The slow down in new production is driven by a drop in the price of natural gas, and it is impossible to say when those prices might rise again, she said. When operational, drilling rigs employ about 100 people and help offset the depletion of older wells. There is maintenance work and completion drilling to be done in the basin. But as the slowdown in the industry has persisted for the last few years, people have had to look for other work outside the basin because there aren’t enough similar jobs available, said Wally Drangmeister with the New Mexico Oil and Gas Association. Farmington’s population has declined about 8.76 percent from 2010 to 2015, making it the fastest shrinking metropolitan area in the country, according an analysis by 24/7 Wall Street. As those jobs are lost, spending in local communities drops, Zeller said. It also has affected support industries, such as consultants working on environmental compliance. The Durango office of SWCA Environmental consultants has stayed busy on projects outside the area because the company has 30 offices throughout the country, said Alex Wesson, project manager and senior archaeologist. “Two-thirds of our Durango folks are essentially remote operators,” he said. Consultants have worked on water projects and some oil drilling in the Permian Basin near Carlsbad, New Mexico, he said. Projects on public land and those that receive federal funding must abide by federal regulations, and that opens opportunities for environmental consultants outside of oil and gas, he said. In addition to jobs, new wells bring online new gas to counter the slow depletion of the 3,400 active wells in Archuleta and La Plata counties. This annual production contributes directly to county budgets. In La Plata County, 16 wells were drilled this year and nine are in production, County Assessor Craig Larson said. The other seven are inactive. It is too soon to tell how this drilling season will effect the 2018 county budget because prices may rise with a cold winter, but production may drop below last year, Larson said. In the Farmington area, Four Corners Economic Development, Inc. would like to see more jobs created in tourism, agriculture, manufacturing and information technology, said Christa Rommé, a spokeswoman for the office. The office is encouraging such businesses through training, grants and better community branding. For example, the office is working with companies that manufacture oil- and gas-related products to increase their certification so they can make other kinds of products, such as electronics. “We’re trying to help them go through that so they can attract a larger customer base,” Rommé said. There also is an opportunity to make a nitrogen fertilizer called urea, which is byproduct of natural gas that could be sold locally to farming operations, she said. Newer uses for natural gas to power cars and at power plants also could boost the Farmington economy. “We are certainly hopeful the demand for natural gas specifically will rise,” she said.